On August 6 and August 9, 1945, the United States dropped atomic bombs on the cities of Hiroshima and Nagasaki in Japan. The attacks helped bring an end to World War II and changed the face of geopolitics and modern warfare forever. Soon after the first bomb dropped, the local newspaper in Oak Ridge, TN ran the banner headline, “Oak Ridge Attacks Japan”. The Oak Ridge Journal was absolutely right; their small city in East Tennessee had played a pivotal role in the development of the world’s first nuclear weapons. Unbeknownst to the rest of the country, and to most of the people living in Oak Ridge, the so-called “Secret City” was at the epicenter of the Manhattan Project, the American-led effort to build an atomic bomb. Since the fateful events of August 1945, many people have wondered why Oak Ridge was chosen for the Manhattan Project. Here at Explore Oak Ridge, we decided to do a little research to bring you the answer to this question. According to City Behind A Fence, a history of Oak Ridge during WWII, the decision to build a nuclear development site in East Tennessee was made personally by General Leslie Groves on September 19, 1942. Groves had only been appointed the commander of the Manhattan Project two days prior. A number of locations for the nuclear site were considered over the summer, including Shasta Dam in California, two spots outside of Chicago, and several areas in Washington state, as well as a few other locations in East Tennessee. However, all of these potential sites were deemed either too small or too vulnerable to enemy attack. 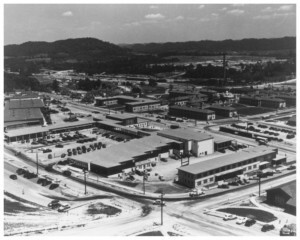 Groves wanted to ensure that the Manhattan Project kept a low profile, and Oak Ridge’s rural location definitely fit the bill. The fact that Tennessee is a landlocked state located away from the coast reduced the chance that the Germans or Japanese would be able to bomb the nuclear site. 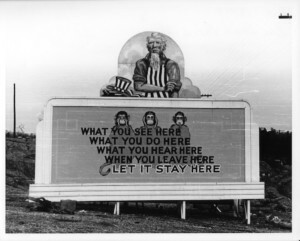 East Tennessee had just the right amount of people for the Manhattan Project’s purposes. On one hand, the military was looking for an area that was not too densely populated because it was concerned about the potential dangers of building its industrial plants. The proposed nuclear site in East Tennessee would only displace about 1,000 families. On the other hand, the Manhattan Project needed enough people to work at the new plants. Fortunately, the nearby city of Knoxville, which boasted a population of 111,000 residents, was ripe for labor recruitment. The South, as a whole, was filled with people looking for non-agrarian employment. In September of 1942, the Manhattan Project planned on building four different types of production plants (pile, electromagnetic, gaseous diffusion, and centrifuge) at one site. Ultimately, the centrifuge process was abandoned and the large atomic pile needed to produce plutonium was located elsewhere. However, the original plan to construct all four plants in the same vicinity contributed to East Tennessee’s appeal. The electromagnetic, gaseous diffusion, and centrifuge plants all required significant amounts of electricity, which could be found at the Tennessee Valley Authority hydroelectric plants at Norris Dam. East Tennessee also offered good quality water and ample land for the project. As an added bonus, the land was cheap: only $50 – 60 per acre, on average. Under orders from General Groves, the U.S. Army Corps of Engineers purchased 59,000 acres of land along the Clinch River. Originally known as Site X or Clinton Engineer Works, the nuclear site was eventually renamed Oak Ridge. With its promise of jobs, the new city drew in tens of thousands of families, becoming the fifth-largest city in Tennessee. Throughout the war, Oak Ridge was protected by guarded gates, and workers at the plants were sworn to secrecy. Few people in town were aware that the military was pursuing an atomic bomb onsite; they only knew information relevant to their specific job duties. It was not until the attacks on Hiroshima and Nagasaki in 1945 that the true purpose of the Secret City became clear to the masses. 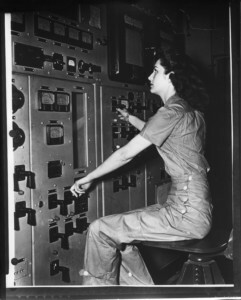 For more information about Oak Ridge’s fascinating past, visit our History page!